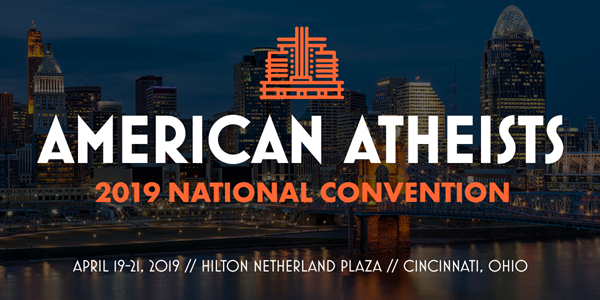 We hope you will join us in Cincinnati on April 19-21, 2019, for the American Atheists 2019 National Convention! Three days of speakers, workshops, community events. The next generation in the United States is more secular and social justice-oriented than previous generations. 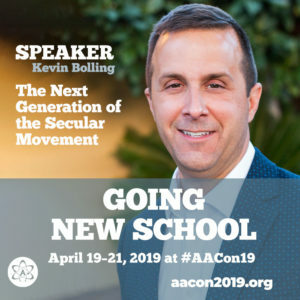 SSA executive director, Kevin Bolling will speak about the mindset of millennials and Generation Z, what the Secular Student Alliance is doing across the county, about the current tactics of conservative religious campus ministries, and what local secular groups can do to encourage and engage the upcoming generation. More information on the 2019 American Atheists National Convention is available here.